From their humble beginnings in 1924, Morris Garage never strayed too far from its routes until its demise as a sports car company in 1981. They had a formula that they kept to, keeping them in the paddock at racetracks and the garages of enthusiast's worldwide. There is an underlying connection to their production cars and their race cars that we know more formally today as factory race cars vs. privateer race cars. In the early days of racing, the 1920's-1960's, it wasn't so black and white as it is today. Any confident enthusiast with a car that fit into a class could simply enter, race, win, lose, not finish and/or just plain have fun. While many car companies built a variety of cars for various reasons, MG has always had the distinction of catering heavily to its motorsport enthusiast clientele. Their cars were almost always eligible and able to prove themselves on the track. 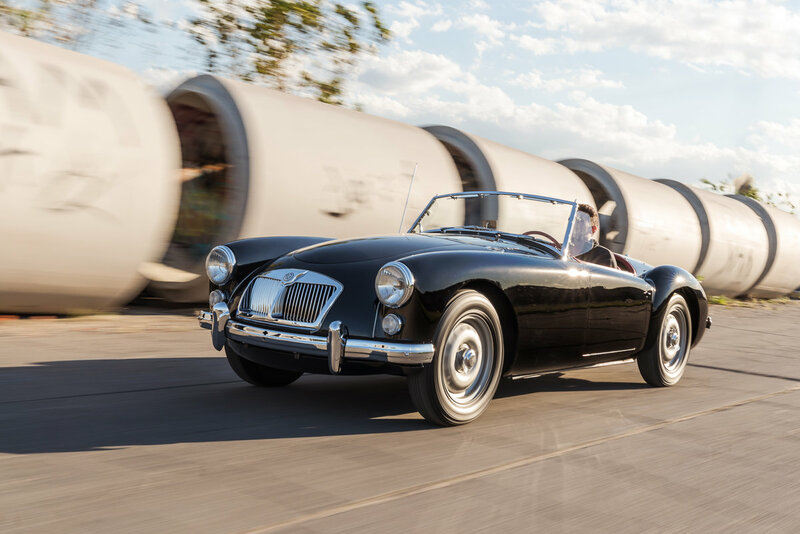 This is where the MG A 1600 MKII “Deluxe”, also known as the “Client Competition” model really brings MG's dedication full circle, offering a race-ready but production based variant. 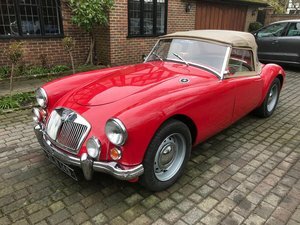 The MG on offer, a 1962 MG A 1600 MKII “Deluxe”, chassis # GHNL2108591 is a car that has been on our “radar” for quite some time. Those of you following along might remember 5+ years ago in our blog posts when we first came across this MG and its Twin Cam stable mate. If you don't remember, you can find the article within our blog section, or click here. While rare as only 1 of 290 Deluxe examples, it is also the condition that puts this car in a category of its own. Showing a mere 15,943 miles from new, untouched and as delivered with a plethora of key points of originality that prompt you to only dig further, find more and more, and study what “new” might have been like in 1962. Mostly original paint, original interior, and matching drive train. This Deluxe has never been apart, hit, rusty or repaired and has always existed just as it is presented. It never succumbed to the fate of most MG A's (languishing in various states of disrepair). This MG A is a statistical anomaly amongst its kind in every way. Before we dive into the history, it is extremely important to understand, why the MKII “Deluxe”, or “Client Competition” variant is so widely upheld as both the rarest and most interesting of the post-war MG lineup; next to the factory race cars of course. In the beginning, there was the MG A 1500, then the 1600, then the 1600 MKII which increased the engine size to 1622 and changed around a few minor features. 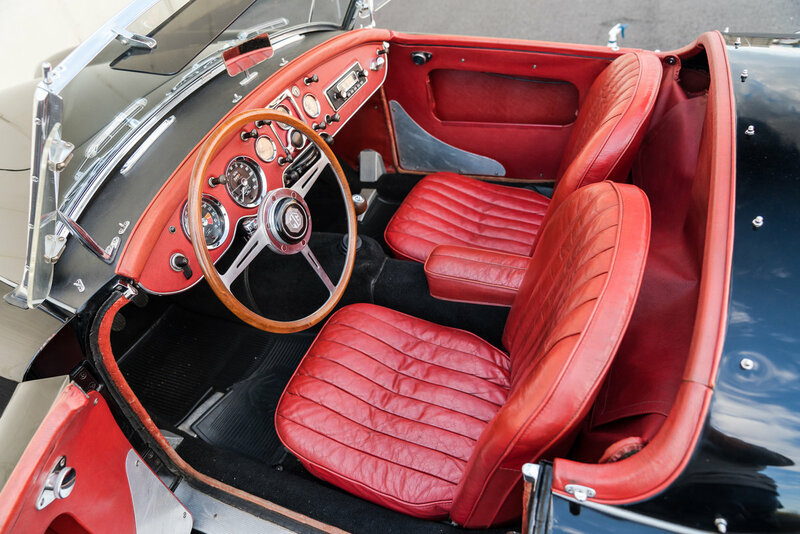 During this time the MG A Twin Cam was also being produced as a more potent race-bred Twin Cam engine with Dunlop Wheels, close-ratio gearbox, quicker ratio steering rack, Dunlop disc brakes all the way around and often delivered with the Derrington wood steering wheel. 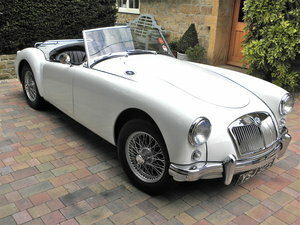 The idea was then to build an MG A 1600 MKII, but with all Twin Cam Features, minus the temperamental Twin Cam Engine. Thus, MG gave us something both rare and uniquely optioned to go racing right out of the box. 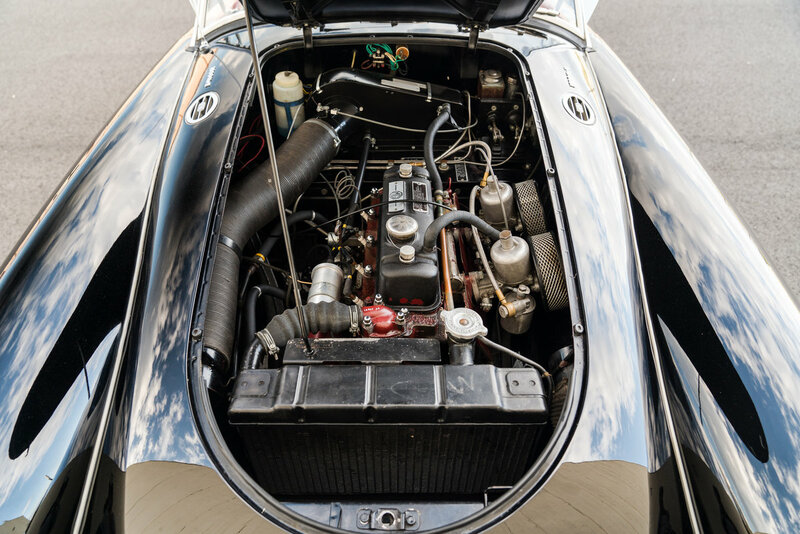 Many SCCA racers of the era regarded the robust 16GC designation 1622cc Engines as one of the most reliable available, especially for racing, until later when MG debuted the 5-main bearing 1800 in the MGB in 1965. While never marketed in period as a “Deluxe” it is the name that contemporary enthusiasts have given what was more commonly referred to internally as the “Client Competition” model. 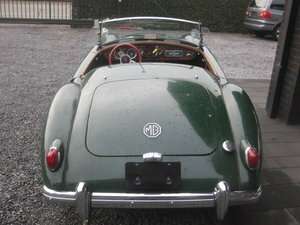 The end result was only 290 examples produced, which tips the scaled in its favor as the rarest post-war road-going production MG.
From what history we are able to gather, it appears that Gordon Morris's MG Franchise, Morris Garage of Oneonta, NY sold the car new to a Mr. Kuhn while he was attending college. Mr. Kuhn came from a car dealer family that owned a Chrysler Franchise at the time, and the Kuhn Chrysler badge was installed on the bumper when the car was new as a memento of sorts. 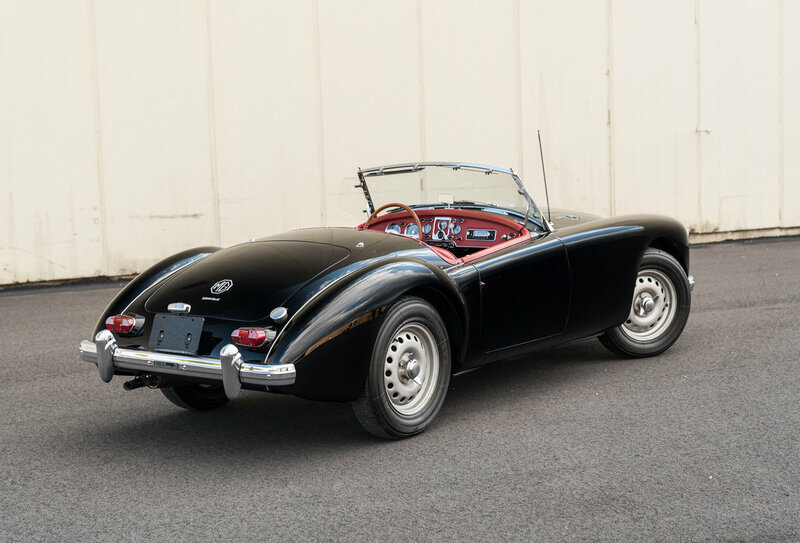 The car was seldom driven, carefully enjoyed and saw little use before passing through what we believe to be 1 or 2 more owners before being hunted down and acquired by a well-known, long-time MG collector; Mr. Meyer, from New York. Meyer proceeded to carefully service the car with preservation in mind and took the car to a few shows for preservation as well as being featured in Hemmings Sports and Exotics magazine. 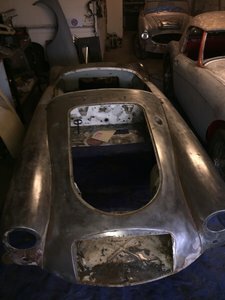 Only 5 years ago the car was finally sold from the Meyer collection and relocating down south with another avid collector of original preserved cars. 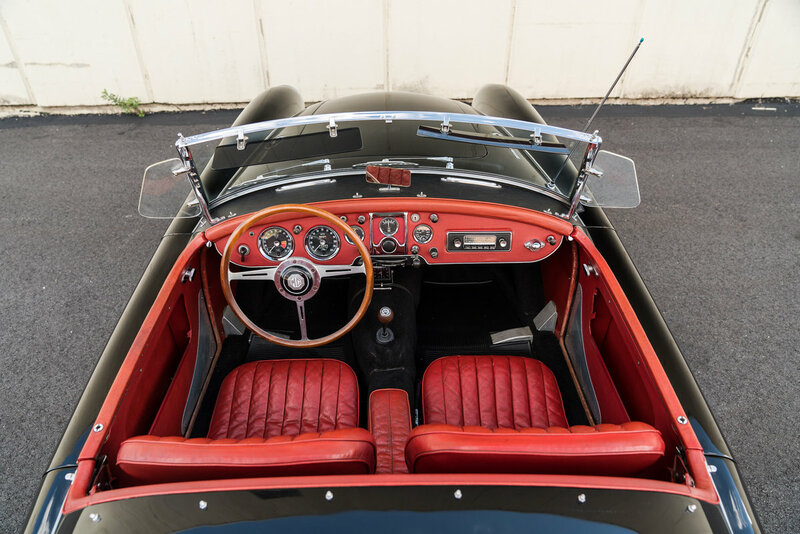 More history will be added to this description as the car is researched and the story behind this great car is better defined.Included in the sale is what we believe is the original soft top, top bows, side curtains, jack, spare, tool kit and original owners' manual. Please visit http://www.LBILimited.com for many more photos and details. Worldwide shipping is available upon request. Follow us on Instagram and Facebook @LBILimited #claimyourclassic.